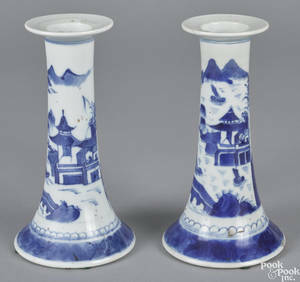 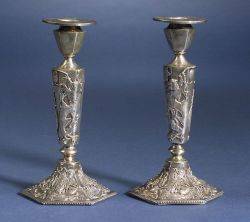 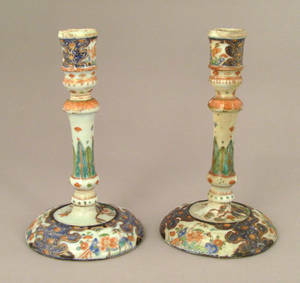 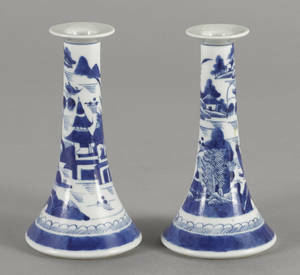 Pair of Chinese export tobacco leaf candlesticks, ca. 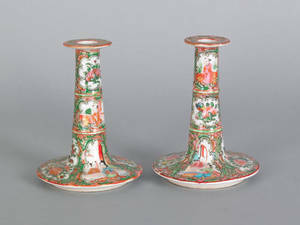 1770 , 8" h. Provenance: Titus Geesey. 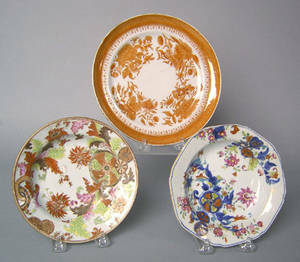 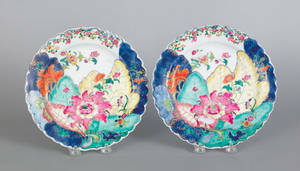 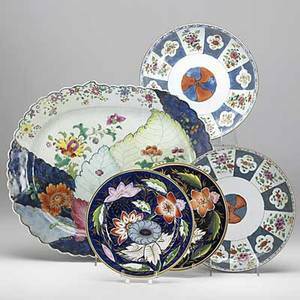 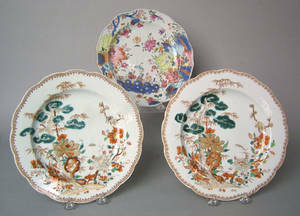 Five pieces of chinese export; tobacco leaf platter, pair of deep dishes and two plates, 18th c.; largest: 14" x 17"
Pair of Chinese export rose medallion candlesticks, 19th c.